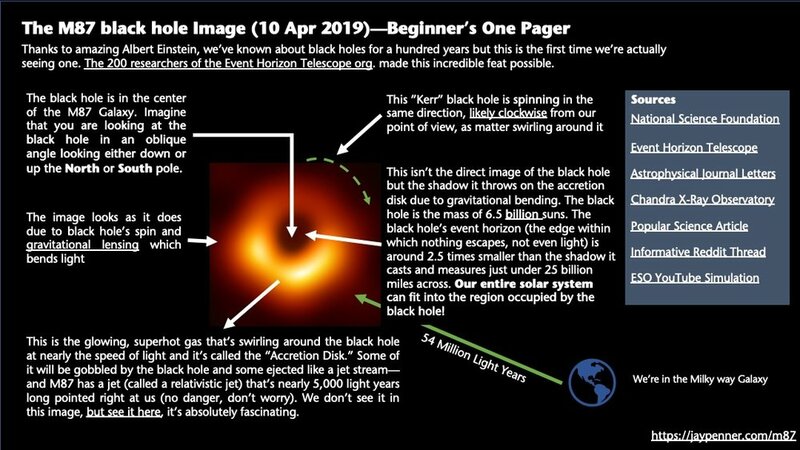 On 10th April 2019, the Event Horizon Telescope released the first ever image of a Black Hole - the monster that lurks at the heart of the M87 galaxy, 54 million light years away. I love this kind of stuff! To think of it, what we see here is something as it was 54 million years ago. There have been many articles with lots of details, but I figured a single, simple one-pager (kind of like my Novel writing POV Cheatsheet) would be helpful for many trying to make sense of the image. Science is beautiful as it is complicated. If you have any corrections or improvement feedback to the sheet, please leave a comment below.